Louise Burfitt-Dons’ political thriller The Missing Activist was driven by the death of a Conservative activist during the 2015 election campaign. Louise was standing as a candidate at the election and the supporter had actually worked for her. 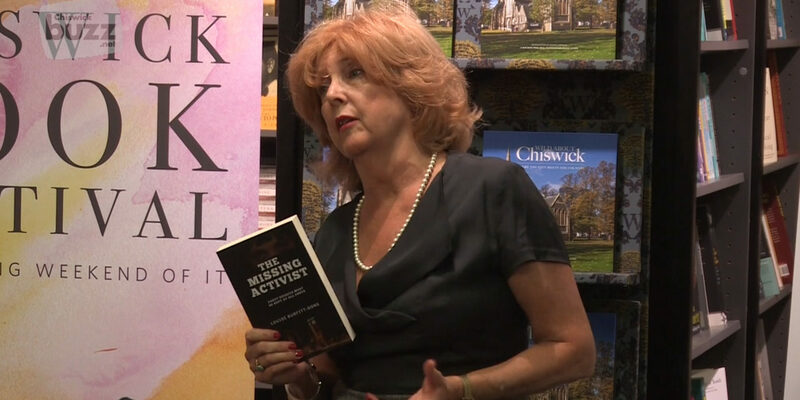 Formerly head of an anti-bullying charity, Louise found that this death was “too close to home.” Louise Burfitt-Donswas speaking at the Chiswick Book Festival Local Authors event which was held at Waterstones in Chiswick High Road. As with other authors in the series, Louise has just two minutes to talk about her book.